Arnold says that now, unless he trusts a researcher’s work, he no longer believes the findings of any scientific study until he or someone on the staff carefully vets the paper. In this study, Burclaff and Mills inserted a human gene into acid-secreting cells in the stomachs of mice. Then, by exposing the animals to a toxin that affects human cells but not mouse cells, they were able to kill the acid-secreting cells without damaging any other cells in the animals. But, surprisingly, the mice did not go on to develop the precancerous condition. "The scientific consensus is that acrylamide has the potential to cause cancer in humans." Researchers at Kings College London and the Charles University in Prague who studied people attending a stop smoking clinic in the Czech Republic, found that successful quitters had a considerable improvement in their depression. A cell phone–based microscope can identify mutations in tumor tissue and image products of DNA sequencing reactions. Overall, the findings provide a strong argument for recommending MP-MRI scans for all men with a raised PSA level before having a biopsy. While gastric cancer is a relatively rare tumor type in the United States (ranks 16th in terms of incidence), it is the most commonly diagnosed tumor type in Japan. In part due to this, Ono Pharmaceuticals took the lead in evaluating immunotherapy in gastric cancer in Asia Pacific. The implementation of the novel oxygen sensitive CAR architecture empowers CAR T-cells with the possibility to auto-regulate (switch on or tune-up) their functions in low oxygen (hypoxic) environments. One year ago, Bristol was widely considered be leading the market in cancer immunotherapy, but that all changed last summer with the failure of a phase III study of Opdivo in front-line lung cancer. According to Bloomberg Intelligence, Bristol has 41 trials of the Opdivo-Yervoy combo ongoing, 12 of them in late stages. An estimated 24 percent of the company's sales came from those two drugs in 2016. Merck will make an initial payment of $625 million to Bristol and Japan's Ono. The company will also pay a 6.5 percent royalty rate on Keytruda sales from January 2017 to December 2023, and a 2.5 percent rate for the subsequent three years. Merck to pay Bristol-Myers Squibb and Ono royalties on global sales of Keytruda through 2026, and lump-sum payment of $625 million. 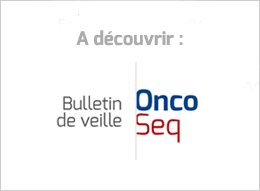 The regulatory submission for regorafenib is based on data from the international, multicenter, placebo-controlled Phase III RESORCE [REgorafenib after SORafenib in patients with hepatoCEllular carcinoma] trial. To better understand the nature of the evidence obtained from many phase 2 trials and the contributions of phase 3 trials, we identified, based on publicly available information, 22 case studies of drugs, vaccines and medical devices since 1999 in which promising phase 2 clinical trial results were not confirmed in phase 3 clinical testing. Pazdur will oversee the first disease area (oncology) at the FDA to have a coordinated clinical review of drugs, biologics and devices across the agency’s three medical product centers. Janssen and AbbVie's Imbruvica has been cleared by regulators in the US to treat certain patients with marginal zone lymphoma (MZL), a rare form of non-Hodgkin's lymphoma. So when I hear this kind of discussion between academics and articulate patient advocates in a room full of well-off, well-educated people with considerable knowledge of health and healthcare, I can’t help but feel that this is all a very long way from the more prosaic reality of the less advantaged and more typical patients who turn up every day to GP’s surgeries and A&E departments looking for expert help. The patient resource explains that physical changes, limitations from symptoms and treatment and uncertainty about the future all put cancer patients at risk for depression. But nontherapeutic tools, such as physical activity, a healthy diet, and a strong social network can help the body, improve mood and reduce stress, the authors write. The new rates do not reflect a rise in the number of deaths, which recent estimates put at more than 4,000 a year in the United States. Instead, the figures come from a re-examination of existing numbers, in an adjusted context. Back to Marsden for blood tests before what might well have been my first dose of immunotherapy trial drugs on Thursday. But oh no! Unless my pneumonia infection has basically gone away then I can be excluded from the trial. And because this episode has occurred after I was consented to, the drug company (trial sponsors) has to be told about it. A French court has ordered a German safety body to pay 60m euros (£52m; $64m) in compensation to 20,000 women who received faulty breast implants.